In this hemisphere, there are four countries where Mexican insurance for cars is not a requirement nationally, and Mexico is one of them. However, driving without car insurance for Mexico is not the smartest move one can make, though anyone has the right to find other means to meet the financial responsibility laws. Rather than purchase Mexican insurance for cars any motorist could post a bond, pay cash or write a check, however large the debt might be. Circumstances dictate that one should at least purchase car insurance for Mexico at mexicaninsurancestore.com whenever they are driving in the country. It is dangerous to go by the myth that a US car insurance policy will cover a person when they are driving in Mexico. As such, this article briefly outlines some of the facts and the information that one should know before purchasing Mexican insurance for cars coverage. Car insurance for Mexico and car liability in Mexico is affected by various factors. Depending on where one is driving, the roads and the highways vary in maintenance conditions from highways to poorly maintained, usually secondary roads. The driving standards in the country aren’t same as those in the U.S and as such, minor accidents occur frequently. To crown it all is the car theft menace, a reason good enough as to why one should have Mexican insurance for cars for coverage against such eventualities. There are different levels of car insurance for Mexico policies, ranging from the minimum civil liability insurance (insures only against damages caused to other people) to policies that cater for each and every eventuality. The civil liability insurance is a must to purchase whenever driving in Mexico. For rental cars, the rental fee should come with the Mexico car insurance policy. However, it is always good to talk to the rental company first, just to be sure. 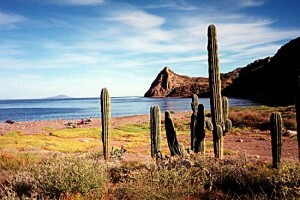 Do you purchase Mexican insurance for cars online when you plan a Mexico vacation? The smartest thing you can do before going for vacation in Mexico is to buy Mexican car insurance. There are different options so you pick what you want, and you feel secure while driving! Peace of mind is an underrated benefit of Mexican auto insurance. Who wants to drive around Mexico knowing they’re one crash away from possible bankruptcy? Next post: Mexico Insurance for autos by Mexican Insurance Store.com; when is it right to buy?